I have to admit, I don’t usually choose buffet meals. Too much food. Too much temptation. Too high a likelihood that I’ll need a nap afterwards. But the Copper Kettle in downtown Nashville has this wonderful casual vibe, and great food, so it is worth indulging myself every once in a while. When we arrived for the famed Sunday brunch, there appeared to be a huge crowd waiting to be seated. Thankfully, at least for us, they were leaving instead of waiting, which meant we were seated immediately. 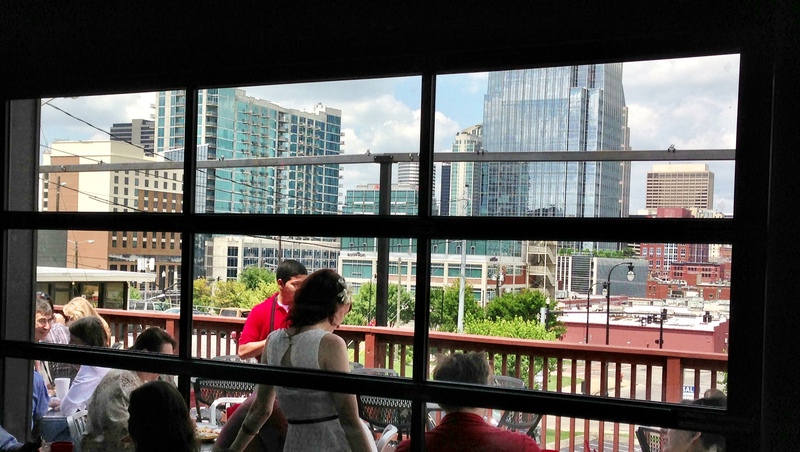 We got a lovely table by the window with a fabulous view of downtown Nashville and the Titans Stadium. It was a gorgeous day, but starting to get hot, so I was glad to be seated indoors. The best of both worlds. 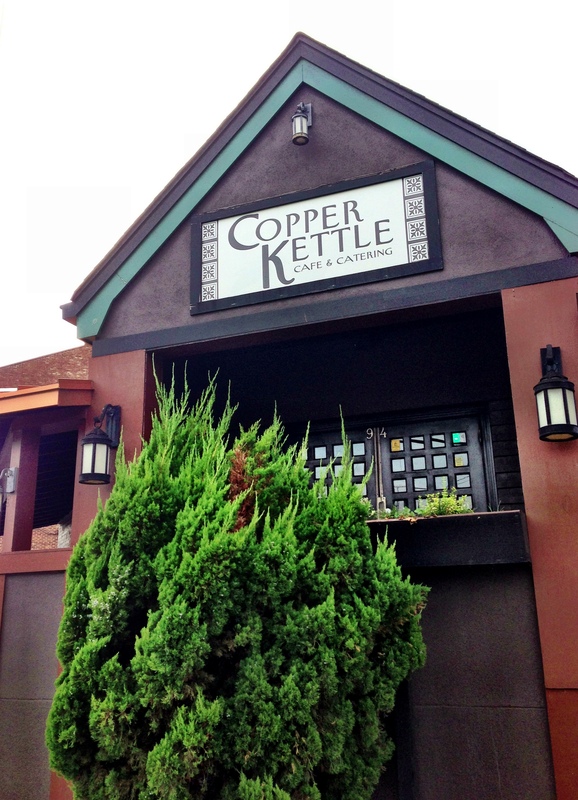 I had been to Copper Kettle for brunch a few times, but M. had not, so I proceeded to show him the ropes. I usually try to scope out a buffet before beginning to fill my plate, but I knew mostly what I was going to get and am not shy about starting with small amounts then returning later if something is particularly tasty. 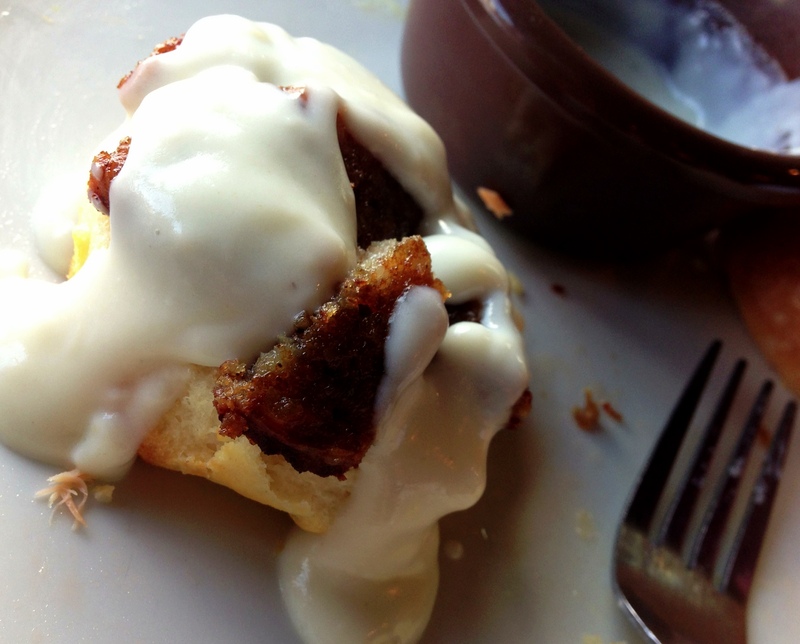 Of course I had to get the biscuits and gravy or there would be no blog post! I did manage to fit some fruit on my plate, and potatoes, and a donut and…. you get the idea. Despite the fact that this was a buffet, all of the food tasted very fresh. I don’t know how they do that. Perhaps the quantity of brunch-goers allows them to replenish frequently? Even the biscuits had more of a fresh-baked taste than a warmed-over one, which was a pleasant surprise. The gravy was plain, with no sausage, so I got myself a sausage patty for a little DIY. I was really pleased, though, at how savory and flavorful the gravy was even without sausage and ate half the biscuit with just the gravy, then half with the sausage crumbled over the biscuit and topped with gravy. One of the other things I really like about the Copper Kettle brunch is that you can order an omelette or waffle (or both) and they will be made to order, but still included in the price of the buffet. The omelette of the day had brisket and caramelized onions and sun dried tomatoes and was truly a highlight. M. said he thought it was one of the best omelettes he has ever had. We lingered at the table over another cup of coffee and then were ready to start the day. Full, but not quite in a nap-required way. Now I call that success. 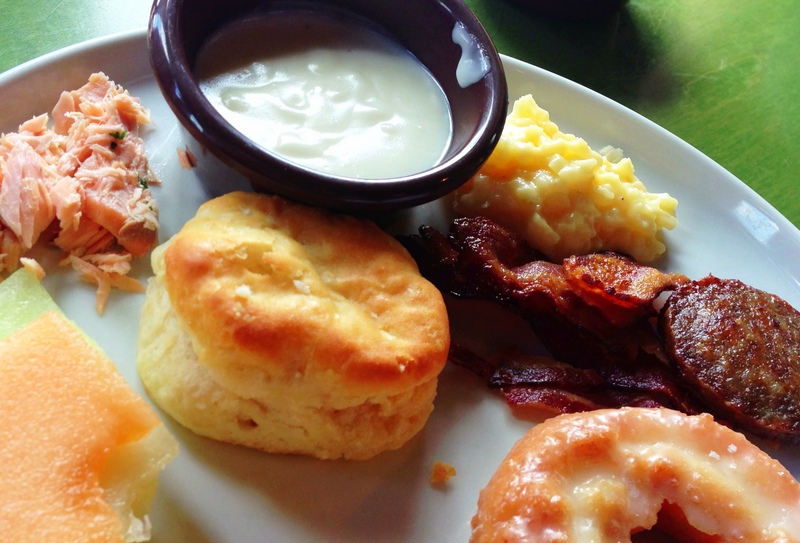 This entry was posted in Restaurant Biscuits and tagged Biscuit, biscuits, breakfast, brunch, Copper Kettle, Nashville, Sausage. Bookmark the permalink.